Welcome to "Faculty of Social Sciences"
The Faculty of Social Sciences being one of the oldest and distinguished centers of learning has a long lineage of strengthening the academic fabric of the Banaras Hindu University. It has hosted scores of scholars and researchers whose contribution has been recognized and acclaimed world over. In addition to the catering of teaching at the undergraduate and postgraduate levels in the five disciplines of Economics, History, Political Science, Psychology and Sociology, the Faculty has branched out its new direction by setting up new centres in areas such as, women's studies and peace studies along with some of the professional courses to meet the emerging challenges of present day world. Research is also an integral and significant component of the academic activity at the Faculty level and the contribution of some of the teachers has been recognized at the national and international levels. The first quarter of the 21st century is witnessing the unprecedented changes brought about by information communication technology (ICT), Systems of Cybernetics & informatics and the overall changes brought about by techno-electronic development. The bio-technological revolutions all over the world are going to control population genetics and alter human nature. It is in this reference that the importance of social sciences has gained global concern. Since economy, polity and social structure are the major themes of studies of social sciences and all scientific researches and technological innovations are ultimately meant for the betterment of society and humanity at large. Therefore, the social scientists in the wake of modern changes have to emerge as social designers, as interpreters and as social theorists of economy and polity. The Faculty of Social Sciences (bifurcated from the Faculty of Arts), established in 1971 has presented landmark impacts with the help of the rigorous exercises done by the Sociologists, Psychologists, Economists, Political Scientists and Historians. Many of the Faculty members have earned international reputations by their intellectual output and a number of social scientists from UK, USA, Germany, Italy and other developed countries have frequented their visit to the Faculty. The IRDP, Malaviya Centre for Peace Research, and Centre for Women's Studies and Development have made commendable academic output in the areas of developing human relations and social solidarity. It is in this light of consideration that the faculty proposes to upgrade its status as an Institute of Social Sciences. 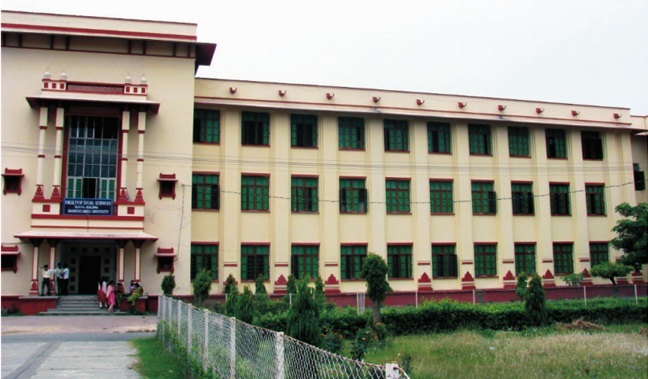 Faculty of Social Sciences (bifurcated from the Faculty of Arts formerly Central Hindu College) was established in 1971 comprising five Departments of Economics, History, Political Science, Psychology and Sociology.